Of all the games I have ever played Star Wars games are my favorite. I am also a huge fan of Star Wars ever since I was a kid and saw Darth Vader for the first time on screen. The expanded universe, when it was canon and not legends, has always been my favorite along with the stories of the old republic era. I read the books, the comics, have the toys and Legos, and of course played all the games. My favorite games are the Knights of the Old republic series. The story of Revan and the Jedi civil war was fantastic. 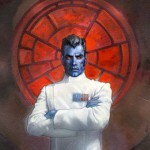 What is great about the Old Republic era are the stories and history. 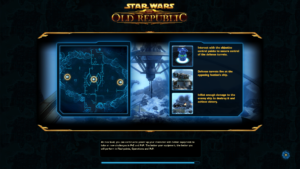 We have the Mandalorian Wars and the Jedi Civil War and then with The Old Republic game, the cold war. Before that the Great Hyperspace wars and the great age of the Sith Lords like Marka Ragnos, Exar Kun, and Naga Sadow. 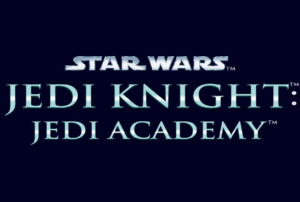 As far as favorite games, it is not only the Knights of the Old Republic series and Star Wars: The Old Republic but the Jedi Knight series featuring Kyle Katarn and Luke Skywalker’s Jedi Academy . Here we are introduced to new cast of Jedi, Dark Jedi, heroes, and villians. It might be Legends but we can all still enjoy and appreciate that lost timeline. To me it will always exist. I am not going to go in depth in all these great games of the past. However, this writing is about the other great aspect of Star Wars gaming, the multiplayer. 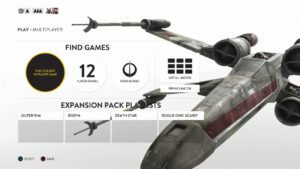 It’s not just about the multiplayer but why I believe Star Wars multiplayers can and maybe should be included in professional competitive gaming. Not to say there are not competitions already in existence, MLG’s Gamebattles host Battlefront and individual organizations host their own competitions for rewards. For this article, I am looking at how Star Wars can expand to professional eSports. 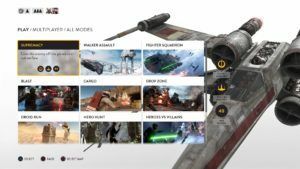 The games that can be chosen in Battlefront. Lets talk about the games. The newest Star Wars games and the most played are Battlefront and Star Wars the Old Republic. 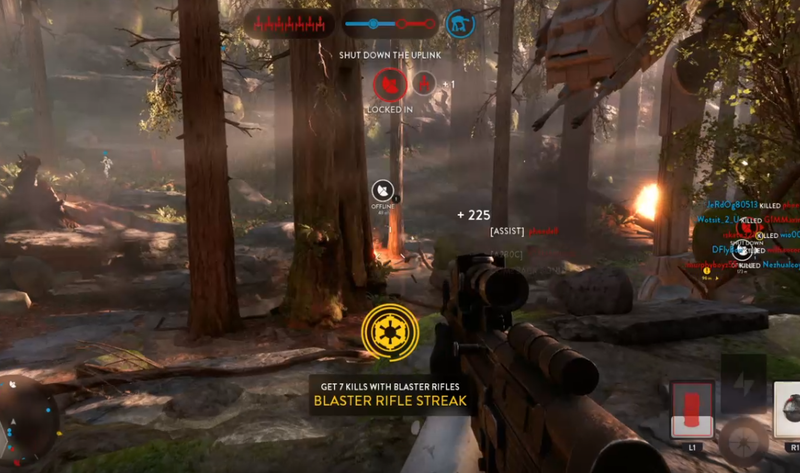 Battlefront is a multiplayer game with twelve different modes and games that allow for up to forty players. Modes have player limits from 12, 16, to 40 players, or 6v6, 8v8, and 20v20. Players also got selected to play a faction either Rebel or Imperial. The best part of this game is that players don’t have a choice on Rebel or Imperial that way one faction is not unbalanced, if players all want to choose Imperial. Though the game doesn’t always balance out, one side might end up with more players. Call of Duty does this as well. At least in competitions games are going to be balanced. Lets get to the multiplayer gameplay. One of the modes I am always playing when selecting a random forty-player game is Walker Assault. 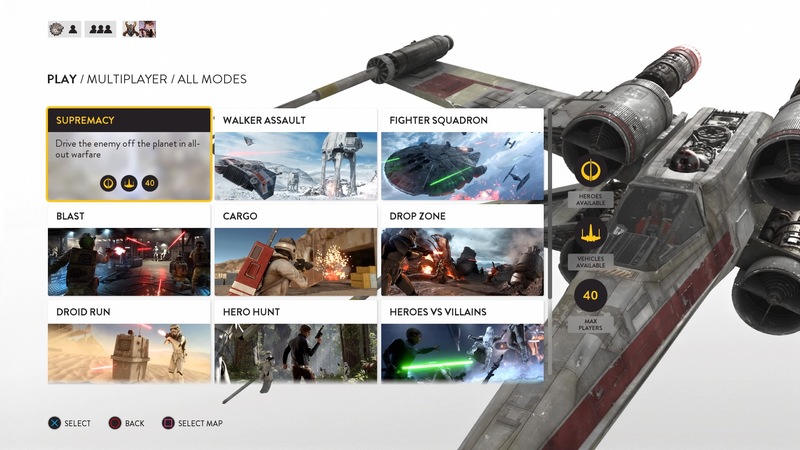 The different modes that can be played in Battlefront. For the mode Walker Assault there are two goals. The Rebels must defeat the walkers before they reach their objective and the Imperials must defend the walkers. To defeat the walkers, AT-ATs, the Rebels activate uplink stations that are used to call Y-Wing bombers. To thwart the Rebels the Imperials must deactivate the uplink stations and both sides are tasked with killing each other to keep them from reaching the end goals. One of the best things about Battlefront is not only the war like feel, especially towards the end when both factions are pretty much locked in combat but the fact that players can grab power-ups, abilities, heroes, and vehicles along the way. Each player is given up to four star cards that are abilities and gadgets to aid them in their fight. The star cards can be grenades, rocket packs, cannons, etc. These are separate from your main weapon. Vehicles can be for the Imperials TIE fighters, AT-STs, and AT-ATs. The rebels get A-wings, X-wings, and for Hoth snow speeders. Of course there are the heroes, which are main characters from the movies like Luke, Darth Vader, Leia, Han Solo, Greedo, Director Krennic, the Emperor, and my favorite Boba Fett. The Emperor is pretty cool too as he has force lightening and players get a chance to be Imperial Guards. This goes for all the other modes and DLCs too. Playing as Emperor Palpatine in Hero Mode. The hero mode is fun as every player gets a chance to be a hero, while the other players fight to protect him or her. If playing the Scarif mission or Death Star players get to fight in vehicles as well as on the Death Star. The Death Star run is the best as the Empire can win and players get chosen randomly to run the trench on the rebellion side. In the Death Star there are multiple goals. 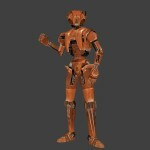 Defeat the Imperials if the rebellion and capture the droid and make it to the rendezvous point. As an Imperial you can defeat the rebels or prevent the droid from escaping. 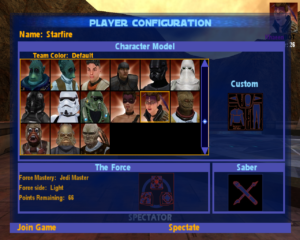 Customization of your avatar is available in game, though Rebels get the most options until higher ranks when Imperial looks can be changed. You also receive credits after games to purchase more weapons and looks. 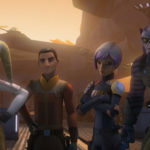 The rebellion side also has a choice of species that come with higher ranks like the Twi’lek, Sullistan, Rodian, and cyborg, which is just a human with cybernetics. 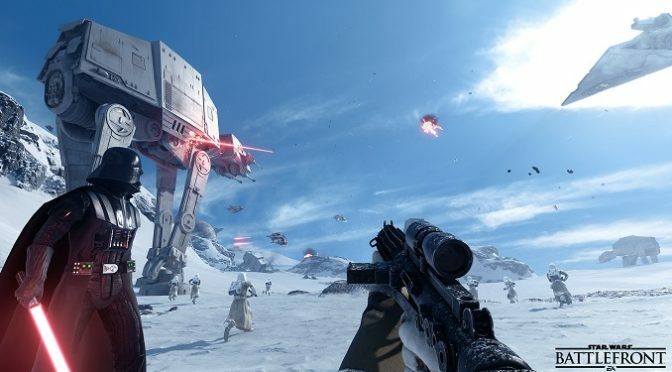 Though Hoth is probably played the most in random games and outside of the DLCs, we also have Endor, Jakku, Sullust, and Tatooine with several different maps for each planet. Bespin and Scarif are available as DLCs. 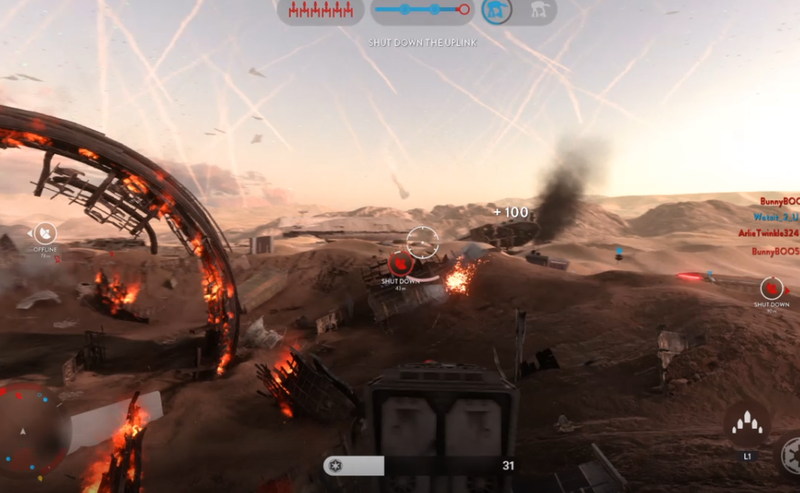 Piloting a AT-ST on Jakku in Walker Assault. After playing Battlefront I can see the appeal of it as a multiplayer game with many players, but can it make it as a professional eSport? In my opinion it has potential. However, for it to be financially viable for the players a maximum of six player teams is a must. Anymore than that will limit monetary awards for teams. 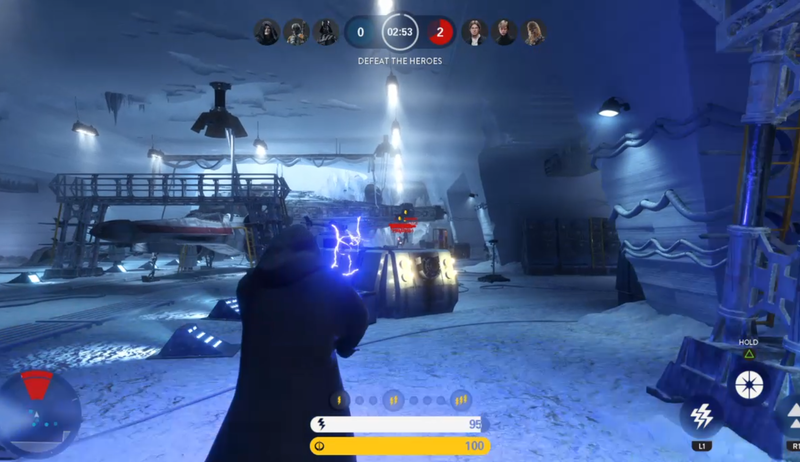 There are twelve player maps in the game already and with some of the smaller maps like the Death Star, Hoth base, and Scarif, plus the space combat opportunities there will be enough for spectators and players to stay interested. Besides, there is more than one mode in the game, which like Call of Duty could prove very entertaining to watch. It would also be great if they mixed up the ground combat with space combat and keep it so each team gets chosen their faction at random. The action is right for competition and with the variety of abilities and power-ups throughout the map teams could take advantage with appropriate bans, especially on heroes. Though heroes appear randomly and typically Stormtroopers and Rebel fighters with good weapons and with cooperative teamwork can take them down. If done right, with choosing the right maps, keeping it a 6v6 game, and providing specific rules on bans while keeping power-ups, vehicles, and heroes it would be a very competitive and exciting professional eSport. If they did start I’ll sign up to participate, at least in online tournaments. Both LAN and online tournaments are great for Battlefront. Now another example of a current Star Wars game that should go competitive are the Warzone battles in Star Wars: The Old Republic. Having the PvP battles in MMOs is not new. We have World of Warcraft as a competitive eSport with live competitions and championships. Entering The Civil War Warzone on Alderaan. The way Warzones work is players enter Warzones in SWTOR by queuing for a game. Players will be given an option to enter a battle as a solo player or as part of a group. When entering Warzones you come in with everything from the game. This includes your rank, abilities, disciplines, and gear. There are ranked Warzones but players need Valor 25+ to enter. Valor is earned from playing Warzones. With the new game update for 5.0 players can choose which side of the force to represent, light or dark, but with anything in SWTOR you still fight on the same faction, Republic against Empire. The battles are randomly picked and include a variety of maps. There is no option for choosing a specific map or mode. It is also an 8v8 game, though teams could be 6v6 for competitions if they make specific competition regulated maps. 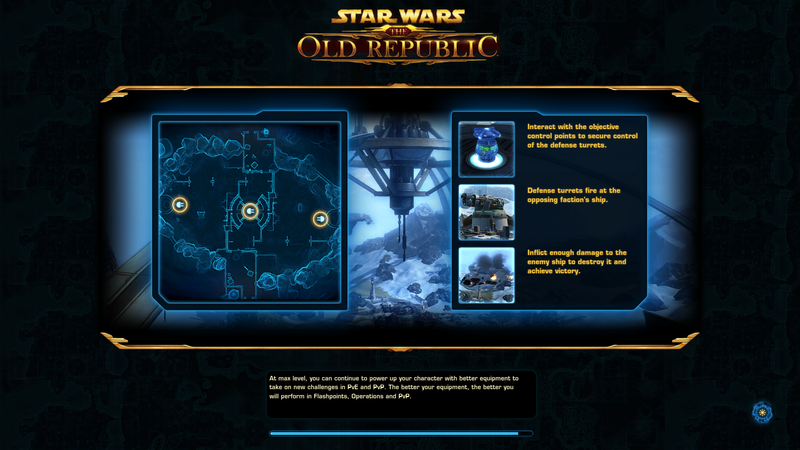 The maps are not very big but there are varieties of maps and each map has a specific mission. 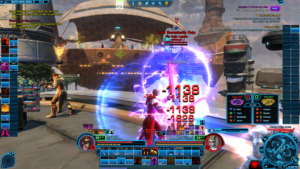 The biggest issue with SWTOR Warzones for competition is to make sure they are balanced. Classes can be tanks, dps (damage per second), or healers. Without rules there could be too many tanks, no healers or an imbalance between the types. 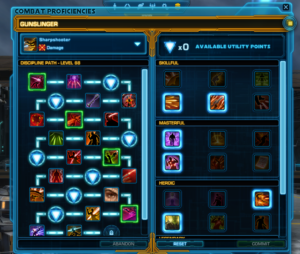 For any Warzone, flashpoint, operation, etc in SWTOR it is a good idea to always have players with each type of style. Sith Warrior in Huttball on Makeb. For instance tanks deal heavy damage and can give dps players a chance to take out more enemies from a distance if they are ranged fighters like gunslingers. Healers belong to the dps classes but also stay back to heal their teammates to ensure victory. Teams for competition would have to be set up specifically to have a set number of tanks, dps players, and healers. If there were six players on a team one option would be to have one healer, three tanks and two dps players, and at least one dps being a ranged fighter. Another option would be two healers, two tanks, and two dps players. However, the host would set the rules for classes for each team to stay fair and balanced. The tank classes are Jedi Guardian, Jedi Shadow, Vanguard, Sith Juggernaut, Sith Assassin, and Powertech. Classes that are dps are Jedi Sentinel, Jedi Sage, Scoundrel, Gunslinger, Commando, Sith Marauder, Sith Sorcerer, Operative, Sniper, and Mercenary. Healers are the Sorcerer, Sage, Operative, Scoundrel, Commando, and Mercenary. The combat proficiencies for a Sharpshooter Gunslinger. 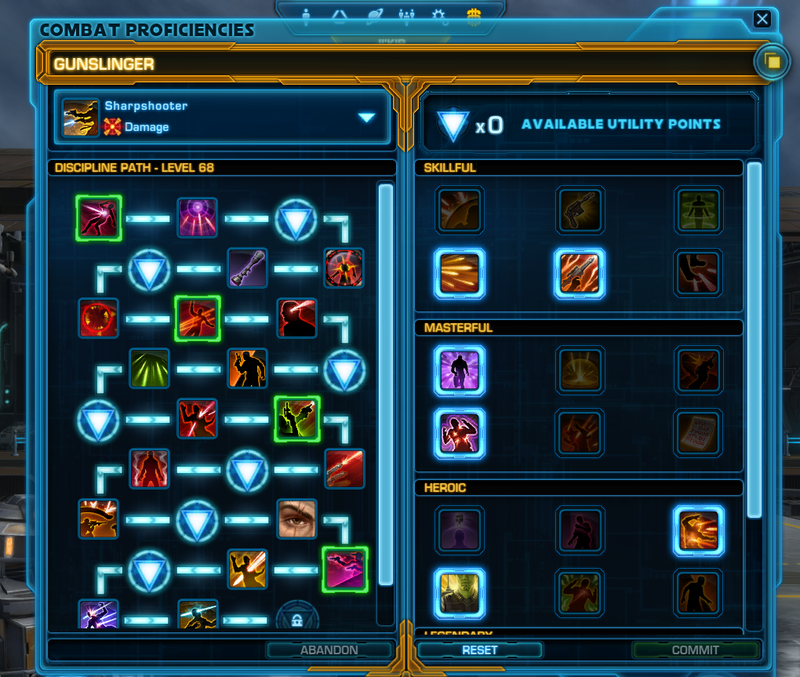 In the game each advanced class gets different combat proficiencies and discipline paths. For instance I prefer to play as a Sharpshooter Gunslinger, which focuses on damaging using dual blasters. My other choices are the Engineering Sniper that relies heavily on tech and ranged weapons, and the Fury Marauder that is an AoE (Area of Effect) displine class that can deal damage to single opponents while dealing damage to surrounding opponents. Though of all of them I prefer the Gunslinger as he can keep distance and cover while taking out multiple enemies simultaneously with rapid fire. For the different disciplines, as players level up they receive new combat proficiencies and can add utilities. This makes each players character tailored to their exact style. As for the Warzones themselves, they are both entertaining and challenging. Some of the maps players can play are Ancient Hypergate, Huttball, Novare Coast, Voidstar, and Alderaan. Although with Knights of the Fallen Empire and Eternal Throne we have new Warzones like Odessen. Let’s look at a few as examples. The first is the Ancient Hypergate and the Warzone in the attached gameplay. What you are seeing in the gameplay is my Sharpshooter Gunslinger trying to defend the pylons and take down the Imperial team. No there was really no strategy but I took down enemies by using cover to deal damage through sweeping gunfire, quick draw, trickshot, and penetrating rounds. I also kite around and throw grenades or take shots but I try to stay back and take out the tanks. The purpose of Hypergate is to activate all the pylons and defend them until they reset. At the end all the pylons for the winning team opens up an ancient hypergate. Huttball is an arena battle with both teams scoring by taking a ball to the goal line. It’s a battle for supremacy and each team’s players must take the ball or defend the player with the ball to score points. The team that gets six points wins or the highest score before the time runs out. Each team is given a name and color. The RotWorms are purple and the FrogDogs are gold. Its not just running to the goal with the ball but players can pass the ball to other players. Its fun and there are also hazards like acid and fire to keep players challenged. The other Warzones have their own challenges, Voidstar is on a derelict ship were teams take on defender or attacker with the goal of being the first to download information from the computer core. You either defend the core or attack the defenders to steal the data in the core. Of all the Warzones this is my favorite but SWTOR randomly chooses Warzones so I end up in Huttball the most. This could be made into in-game events and tournaments but as far as a spectator competition, I can’t say that it will get that far. Should it? I think so but would it is the real question. Live streaming is always a possibility to draw an audience. No matter if it ever goes to professional competition or stay as an occasional in-game event for in game rewards, like credits, I think the SWTOR Warzones are a lot of fun and complement the game well. When you are tired of just playing an RPG game its nice to get into a PvP game for awhile and battle with other players. I want to now get to what I think are the best Star Wars multiplayers ever, Jedi Knight II: Jedi Outcast and Jedi Knight: Jedi Academy. Yes, these are older games, but classic and timeless as far as PC games go. Playing Jedi Academy today is no different then playing it three years ago or in 2003 when it first came out. Some games age and some get better with age. Why are the multiplayers in these games good? Well there are many reasons, one -the duels, two – the social aspect, three – the mods, four – you can also use force powers, five – you don’t need to stick with one saber style or sabers, and last its fun to get with a community and play with lightsabers. It’s really a lot about the community aspect of the game. You can play with one other player or a few friends together on a server. However, you can also join a clan or community server and meet up with many different players and have fun. Choosing a character in Jedi Academy. 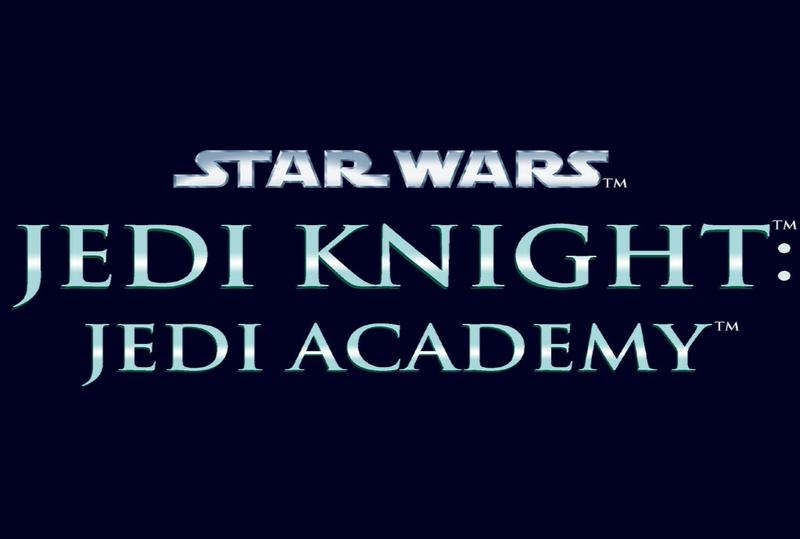 For this article I am going to write about Star Wars Jedi Knight: Jedi Academy as that is what is featured in the embedded video. It’s pretty much the same as Jedi Outcast except for a few differences in maps and customizations. In Jedi Academy, when you start out the first things before joining a game is customizing your player. Players have a choice of being dark or light. There is a pick of lightsaber color, after all this is a lightsaber game though you can use blasters or fists. 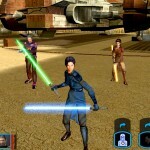 In Jedi Academy you can pick duel weapons or double-bladed sabers. Next is choosing a hilt from a nice list of choices. Lastly choosing your character or creating a custom character. Choosing a lightsaber hilt and color. There are many different characters to choose and they are from the game itself. My personal favorite is Tavion Axmis. In the game she is a dark jedi and became the leader of the Disciples of Marka Ragnos. His spirit possessed her and she succumbed to his power. After you pick your avatar you can join the game. The rules are what ever the server host declares are the rules. Most are free-for-all and duels stick with just sabers and no force powers for fair fights. This game is really all about the duels. Players can just fight other players but it’s more honorable to choose a duel and for competitions that’s how it would happen. Duels are challenging and require skill to be good. There is also saber styles to choose and master. 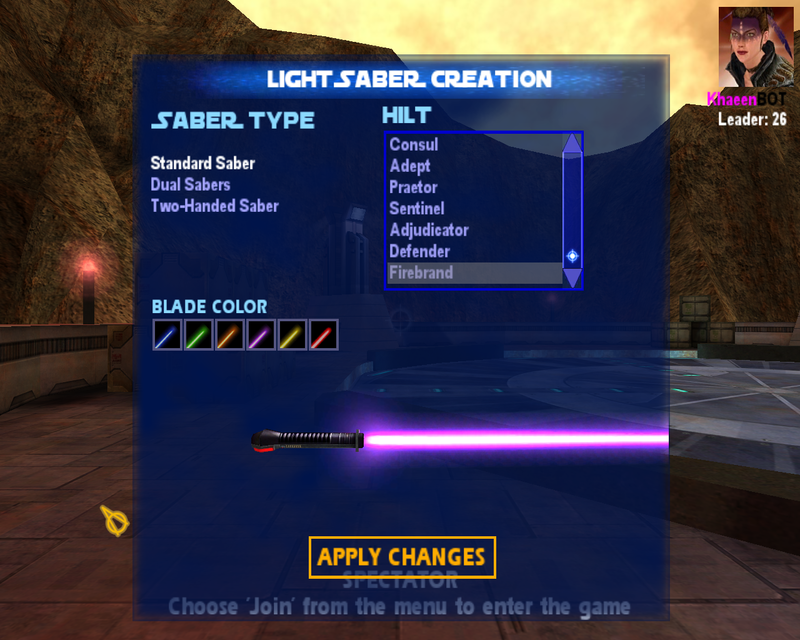 Three saber styles exist in Jedi Academy; blue, yellow, red. Blue is the easiest and deals the least amount of damage. It’s great for new players to learn how to fight in Jedi Academy but if you are looking to win duels forget this style. The next is yellow, which is fast saber action and relies on sweeping arcs and acrobatic skills. It’s fast and can deal damage in bursts but it is not as damaging as the red style. The hardest to master is the red style. 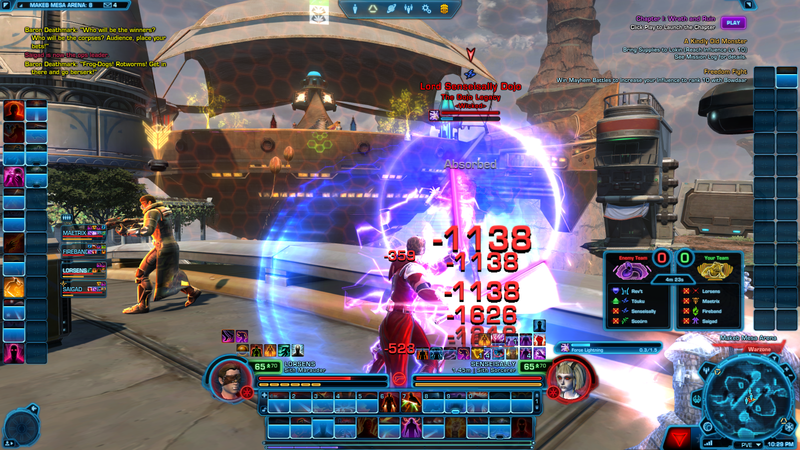 It is a slow style that requires timing to deal damage as the saber sweeps and attacks are slow. Using jump, feigning, and acrobatics to avoid enemy attacks is crucial in this game. However, if you are on red you need to time each attack perfectly to hit the player because, in the process of attacking, your opponent has a chance to come back and attack. Of course if you are really good you can change styles during the duel for variety and better attacks to win. Although duels last a short time, if your competition was best of five there can be an audience for Jedi Academy or Jedi Outcast. It would be 1v1 competition and may not be a live event but streaming and online events are a definite possibility. The duel system is already set up for competition and there are competitions. These are usually clan based and hosted competitions but it wouldn’t be hard to bring the game to a larger audience and with prize money. It might be an older game but there is still appeal and could be made into a Star Wars eSport. Another Star Wars multiplayer that was good and has merit is Star Wars: Republic Commando. This is a first person shooter that was released back in 2005 and followed the events of Episode II: Attack of the Clones. Players became Delta Squad, an elite squad of clone troopers. It was a fun game to play and was different from other Star Wars games as you get to play as clone troopers. The multiplayer is like most other FPS multiplayers and players play as a clone against other clone troopers. There is a decent heads up display and you get blasters and explosives. It could of in its day have been a competitive game. I can continue on but these are the select games I choose to look at for an eSports column. 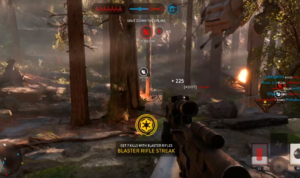 Can Star Wars get into the eSports game? Yes, but the question is will they. Individually hosted competitions or in game sanctioned events do occur but I would like to see some of the best Star Wars multiplayers go professional. There are great players out there and some of these games are spectator worthy. So why don’t we have Pro Star Wars players? I can’t answer that, but if they ever decide to go pro I want in and will play for hours, days, and weeks to get good enough to join a pro team. 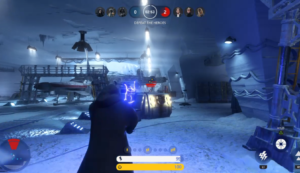 This is were I am going to leave you with my thoughts on Star Wars competitive eSports and why we need them, because we just do. Besides many people play Star Wars games and they are popular. I am amazed at how many people still play Jedi Academy and look at the numbers of people in Battlefront and Star Wars: The Old Republic, its amazing and worth noting. 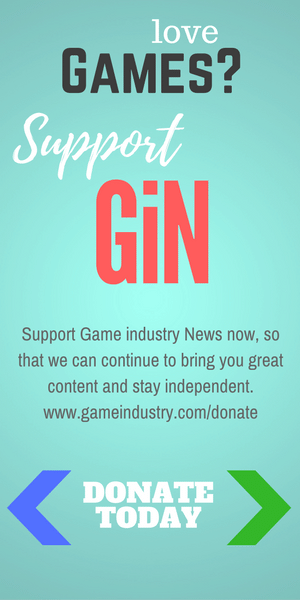 If any readers have comments or ideas on Star Wars games and eSports, please share and happy gaming. I may be the first comment but I wanted to reply on RepCom’s competitive nature, which is likely what most people don’t know about. We used to have clans (ex: TX, Reign, RNR, 7DS) and these hosted THE best players of Republic Commando who would create tournaments to compete against each other in what we called scrimmages or scrims for short. Now today it has disbanded and clans are “dead”. However, we still scrim and have a decent sized community. I can definitely agree that this game can be very competitive, if not more at times than COD. It is also more skill based imo than COD.